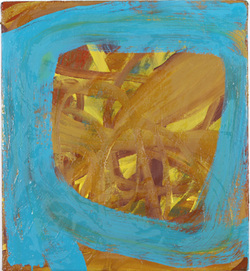 Janet Kurnatowski is pleased to present “The Traveling Hat”, new paintings by James Bieder- man from May 7- June 6, 2010. This will be Mr. Biederman’s third one-person exhibition with Ja- net Kurnatowski, who represents his current work. Biederman currently lives and works in North Carolina. Please join him at the opening reception on Friday, May 7th from 7-9pm. James Biederman is the recipient of the Joan Mitchell, Adolph Gottlieb, Pollock-Krasner, Change Inc., NYFA and two NEA grants. He exhibited in Documenta 7 and is in collections of MOMA, Metropolitan Museum of Art, Pompidou, Kroller-Mueller, National Gallery of Australia, Eversen, Cincinnati Art Museum, Hayden Gallery, M.I.T. and The Wadsworth Atheneum Muse- ums. He studied art at Yale University and the Whitney Museum Independent Study program. For more information or images please contact the gallery.